Many bloggers have a single blog where they list their top 10, top 25, top 100 or 1000 books. I’ve found that I just can’t do that because there are so many wonderful books out there that I’ve read. I also find that my predisposition toward a book, like a film, is to like it. A book has to work hard to make me not like it because I have so much goodwill toward the writer. I always want the writer to succeed. So, instead of listing my top books ever, I am instead putting together a series of blogs that cover my top three books in certain categories. Today I launch with the top three most significant books in the world. In my opinion, at least. Without a doubt, it is the single greatest influential piece of literature, religion, philosophy and history in the whole world. Yes, that includes the non-Western world too, for there are probably more Christ-followers in China than in the United States and Asia and Africa are now filled with Bible teaching churches. For many of us the Bible is more than literature, it is a way of life and the guide to knowing God. However, if we just think about it as a literary piece, it is the greatest literature ever. Whether you believe it or not, the stories in the Bible are gripping, heartbreaking, inspiring, and usually very crisp. Most of us forget how short Jonah is, or how brief the gospels are. Besides, we could barely speak if we stripped our language of every metaphor that emerged from the Bible. Okay, we’ll throw in The Odyssey as well. For the ancient Mediterranean world, The Iliad and The Odyssey served an analogous function to the Bible today. It was memorized, adored, quoted, and believed as a religious guide. 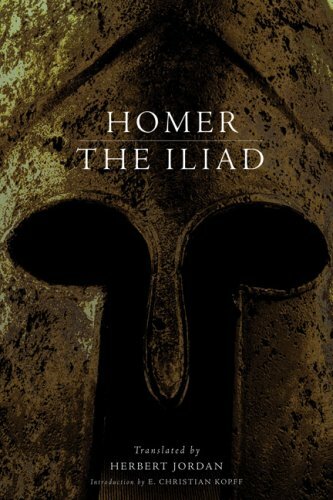 Most everyone rejects the religion of the stories today, but the narrative necessity of great heroes like Hector and Achilles, tragic kings, battles, and then the epic journey of discovery that is Odysseus’ destiny are the pillars of a great deal of storytelling. One can scarcely wonder what world literature would be like if The Iliad and The Odyssey never were. In the coming weeks I intend to blog about my favorite books from other genres–history, preaching, classical literature, sci-fi, fiction, and so forth. But these are, in my opinion, the most important and influential books in the world. I would be interested to know what you think are the three most influential books? thanks Ms. Quality, i appreciate it, and i appreciate you reading and commenting. me too Matt. its all the things i love wrapped up into one–reading, writing, blogging, and categorizing. thanks for reading and commenting. I don’t have much opinion as to the most influential in the world, but the most influential to me are 1) the Bible, 2) Lord of the Rings & 3) The Normal Christian Life by Watchman Nee (I book I have not often read, but find myself referencing frequently). those are all good ones Eeyore. certainly in our world right now the LOTR have taken on a very important and influential status so you are in good company. thanks for reading and commenting. Very interesting. I would be at a loss to pick three most influential books in the world, though the Bible seems indisputable. I think it helps to think of the most influential books in your own life rather than your favorite books. Influential books need not be books that you enjoy per se; sometimes books you don’t enjoy have more influence because they nag at you. On my blog I put a list of the books that most altered me, rather than my favorites. that is a good way to see it Carroll, the books that alter us. that might be a good list to think about. thanks for commenting and reading. I agree with two of the three. The Bible, Confessions…I’d have to suggest “The Epic of Gilgamesh” might have more of global influence as opposed to Homer’s work which influenced the west without a doubt. But I might throw in “Don Quixote” as a genre creating pioneer has had a profound impact on the western world of literature. But maybe you will get to more of these later in your series. And may I just say that Thomas Cahill is a stud? Good stuff, Jamie. Looking forward to these. gilgamesh is important, but my take on it is, and some in the academic world may think this blasphemy, is that gilgamesh was not nearly as important in the ancient world as we make it out to be. the only real significance it has is today, where scholars attempt to align bits and pieces of it with biblical narrative. therefore, gilgamesh is only important, imho, because of the importance of the Bible. don quixote, yeah, i can give you that as a genre creator and as an influential work. it doesn’t make my top three, but it is a vital piece of literature. thanks for reading and commenting joe. oh, one more thing–yes indeed, cahill is an absolute stud. I don’t know how influential Gilgamesh was, but there is a truly excellent translation/rendering by David Ferry. It’s a fluid translation – but then it wasn’t “cut in stone”. i may have to check out that translation saintphilipsnorwood. i enjoy reading such things. thanks for the book recommendation, and thanks for reading and commenting. Previous Previous post: DOES THE BIBLE HAVE LIMITS?